After a good day on the Georges, decided to go for some night time squid. 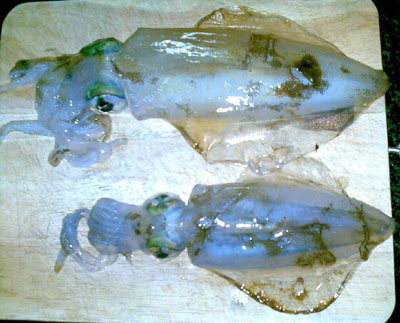 Went down with my brother to Port Hacking armed with a bag of squid jigs. I heard it was not too good to squid on a full moon, but decided to test the myth anyway. Within the first 10 casts we caught these two beauties.